Yes its going to be a review on Macadamia Hair care!! 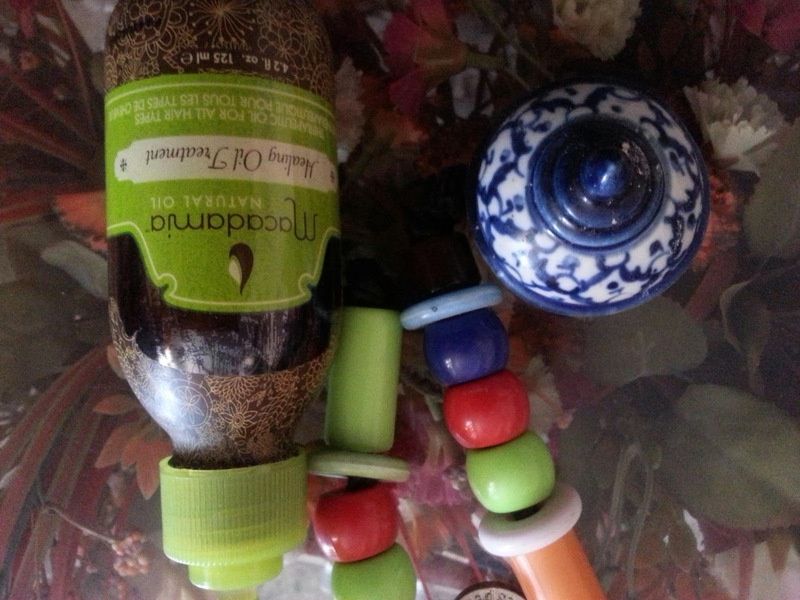 As much as you all I also wanted to have these beautiful foresty green brown bottles by my side and on my birthday feb 2013 I managed to celebrate my penchant for it. Now I own them and almost obsessed them so much so that I don't forget to comb my hair at least thrice a day with the special comb infused with goodness of macadamia oil..
As you can see this was the box in which all the four products I bought were placed decently in thick plastic shelf hollowed out to place the bottles and comb nicely. 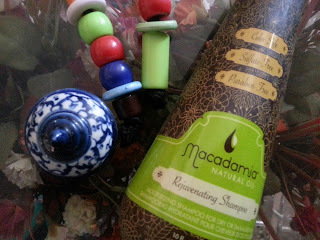 MACADAMIA HAIR OIL TREATMENT: Again the superb packaging. Its a glass bottle equipped with pump mechanism.Usually one pump is enough for the shoulder length hair as I have. Argan oil adds a delicate fragrance and oil sets so light in hair. It makes my hair so soft and silky . I am super wowed by this oil.In my video I have explained How I wear it for styling and in general . Take a look if you want to know more!! 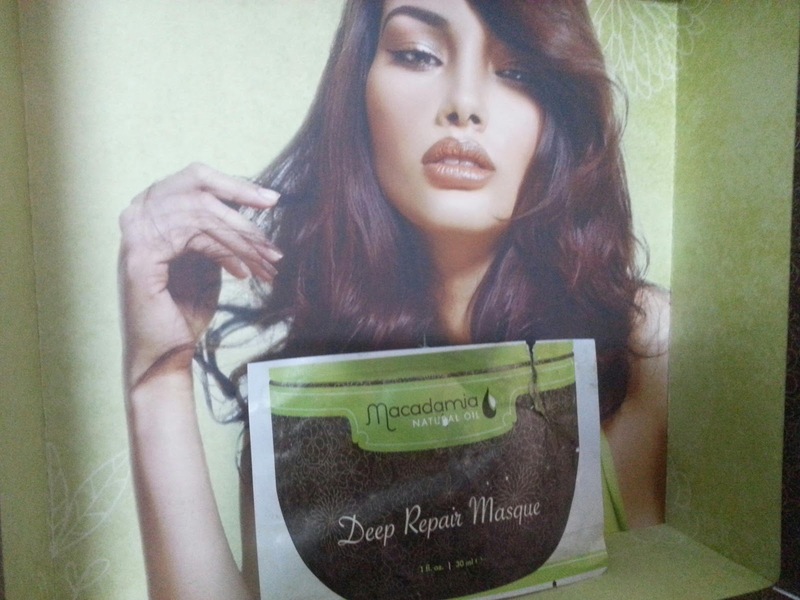 MACADAMIA DEEP HAIR MASQUE: Its actually a rescue for your drying dead never happy hair.It just quenches them from within and is a treatment in itself. For my hair already used it thrice and still much left for another two uses. Loving it tremendously. 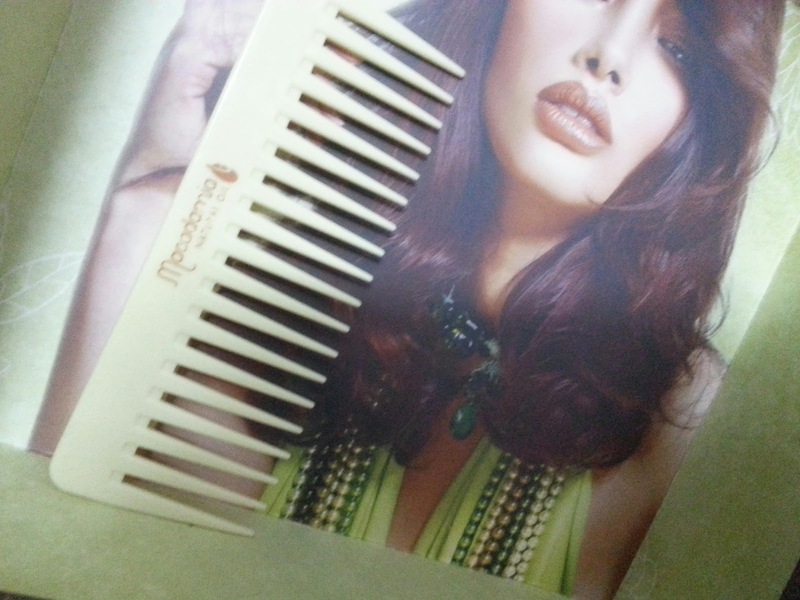 MACADAMIA COMB: the comb is itself infused with the goodness of academia oil. Isn't it seems like something Cleopatra might have used as one of beauty secrets. But Finally now secret is out for all of us to have gorgeous shiny hair too!! BOUGHT: I bought this entire thing from Bath and unwind. We bought lot of stuff so the entire package was delivered in two separate parcels. First parcel reached us well on time and tracking number was provided so we precisely knew everything about the parcel. Reached well in time. For the second parcel there was some sort of confusion,For once we left the hope of ever receiving it because the tracking number provided was showing delivered while we never even had a glimpse of its whereabouts. Perplexed!! We reminded them .They attended us ,gave us the new tracking number and we could trace the stuff now and by now for us it fell in the category of late delivery. I received a written message from my post man on ragged paper in my house letter box..about the parcel lying in the post office. I stayed did the signing part and then the bomb blasted ...He said collect it only after paying 700 Rs. It was not about the money..But the question was for what?? No explanation was given ...There was this yellow crumpled paper over the parcel saying pay rs 700 !! We just assumed it to be customs..Got it retrieved!! We emailed Bath and Unwind. Reply was prompt and full of concern.But they have some mentions in the shipping to India which we took lightly or believed that nothing will happen to us. I hope this post will be useful to all of you! !